A senior UK Cabinet minister has said it would not be normal for Prime Minister Theresa May to publish the Attorney General's Brexit legal advice, as demanded by Tory Eurosceptics, the DUP and some opposition MPs. Health Secretary Matt Hancock said that while the Attorney General's legal advice to government is considered confidential he could answer MPs' questions about it. Mr Hancock said a decision to release legal advice would only be taken in "exceptional circumstances" by the prime minister. Mrs May is under intense pressure to publish the full legal advice setting out how any customs arrangement to avoid a hard border on the island of Ireland could be ended. 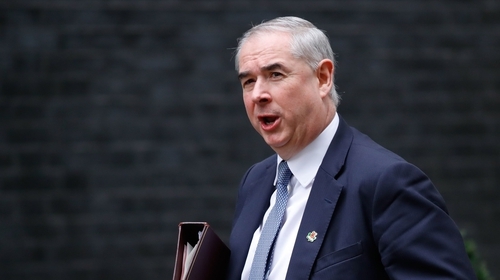 The concerns focus on Attorney General Geoffrey Cox’s advice on how an exit from the backstop could be found to make sure the UK is not permanently kept within a customs union, which would severely curtail its ability to strike international free trade deals - a key prize for Brexiteers. Tory MP Jacob Rees-Mogg, who chairs the Eurosceptic European Research Group, suggested the information should "certainly be made available" to Cabinet ministers to ensure they know what they are signing up to. Mr Rees-Mogg said: "There is a concern that the Cabinet is not being fully involved in this, it's getting information at a late stage, there is an appearance of it being bounced, you hear of ministers getting 45 minutes to read crucial documents before Cabinet meetings, this is not a serious constitutional approach."